It’s imperative to Stand by Me that our children’s physical needs are met, but just as important to us is that their emotional needs are cared for too. It’s incredibly important to each child’s sense of value and stability that they’re surrounded by people who love them and care about them. These relationships help build up their self-worth. Child sponsorship supports this further by giving our kids a relationship with someone who loves them and helps them feel part of a wider family. Even though a sponsor may be hundreds of miles away and may never meet their sponsored child, they play such a significant role in their sponsored child’s life. 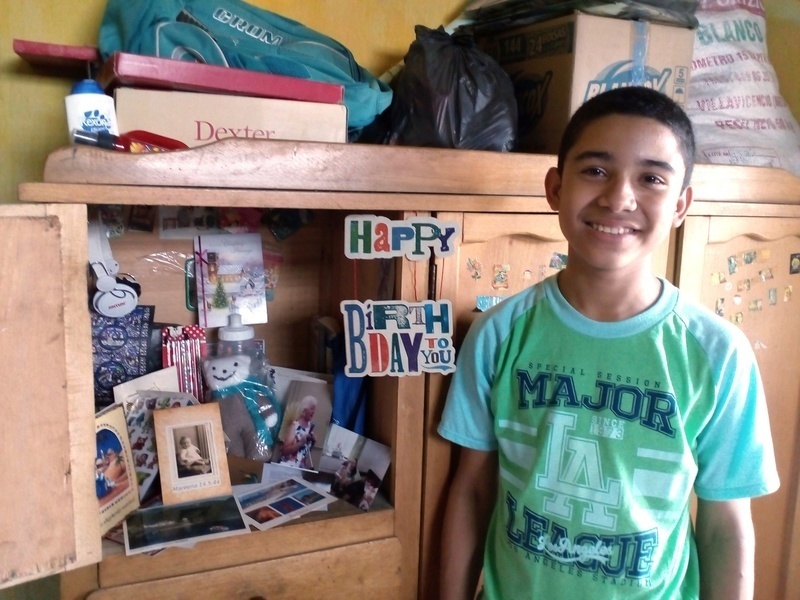 Anderson Daniel Polo Cantillo joined our care because of how desperately poor his family were. Growing up in the deprived town of Guacamayal in Colombia, there is very little opportunity to succeed and violence, drugs and crime trouble many families. Through Stand by Me’s support Anderson has access to a good education and has been given uniform and school resources to help him reach his full potential. Regular meals and medical checks have kept Anderson healthy and helped him grow. Emotional support from our staff has helped him in tough times and there is an extra special relationship that has given Anderson assurance that he is loved - the relationship with his sponsor. Through regular correspondence he has been able to get to know his sponsors and they have found out more about him too. His sponsors' encouragement and loving words have made all the difference and given Anderson permission to believe in himself. This relationship means so much to Anderson that he has kept every letter and card received, keeping them in his cupboard at home. To him, the cards and letters are precious, they are treasured possessions. Around the world, our kids’ lives are being changed thanks to the input, support and love of their sponsors. If you would like to know more about sponsorship take a look at our sponsorship page or give us a call on 01708 442271, we’d love to chat. Cheeky chappy Jean Carlos, age nine, lives in Monte Plata in the Dominican Republic. He’s had an unsettled life which began when his father was sent to prison with a 15 year sentence for murder. Last year our grade 8 students took their regional exams. It is always a proud moment when we see children who we have given a helping hand, rise out of terrible circumstances and reach a significant point in their education.